After the disaster that was the Galaxy Note 7, a phone that was recalled due to its tendency to catch fire and explode, there was speculation Samsung would end the tarnished Note brand. That speculation was then killed with the announcement of the next Note-branded smartphone, the Samsung Galaxy Note 8. The phone represented the latest and greatest in Samsung’s arsenal and could prove to be one of its best-sellers — provided we don’t run into any issues with the phone’s battery. 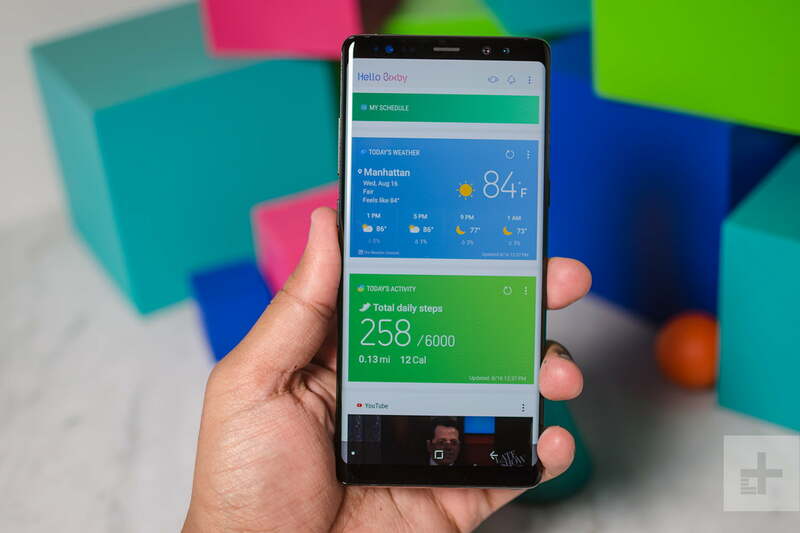 Check out our Galaxy Note 8 hands-on review to learn more. The Note 8 is was the first Samsung smartphone to feature a dual-camera setup, and now that setup has gotten a few new features thanks to an update. The update actually brings a few great features from the newer Samsung Galaxy Note 9, including Super Slow Motion, which allows for the recording of video at 960 frames per second for 0.2 seconds, and AR Emojis, Samsung’s answer to Apple’s Animoji. The update is currently rolling out to France and will likely come to other users, according to XDA-Developers. Both lenses pack 12-megapixels each, and they support a new mode called Live Focus. This is like the iPhone 7 Plus’ Portrait Mode, which lets you use a blur-effect, or bokeh, around a primary subject. Live Focus is a little different because you can change how much blur you want in your shot before and after you take a picture. There’s also Dual Capture mode, which takes a photo with both lenses at the same time, so you get to choose between a wide and a zoomed-in photo. What makes Samsung’s dual-camera setup unique is how both lenses have optical image stabilization, meaning your shots won’t be blurry if you zoom in even more than the 2x optical zoom. The front-facing camera on the phone sits in at 8-megapixel with an aperture of f/1.7. The display on the phone is one of the main reasons to get it, and it’s pretty beautiful. It sits at a massive 6.3-inches, with a spectacular resolution of 2,960 x 1,440. The Infinity Display stretches the screen to the edges of the phone, meaning you get more screen real estate in a similar frame as a traditional 5.5-inch phone. On the back, you’ll find the camera, which is one of the distinctive qualities of the Note 8 against the Galaxy S8. Otherwise, the Note 8’s layout is fairly similar to the Galaxy S8 Plus. 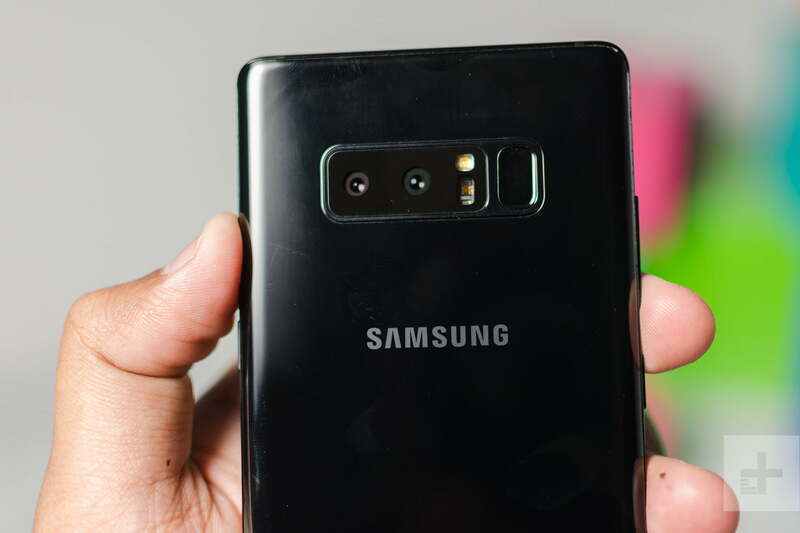 There’s the fingerprint sensor in the same awkward placement next to the camera; the power button is on the right edge, and the volume rocker is on the left above the dedicated Bixby button. The headphone jack sits on the bottom of the phone, next to a USB Type-C charging port and speaker grill. The first thing you’ll notice about the phone is that it features Qualcomm’s 2017 flagship chip, the Qualcomm Snapdragon 835. That’s the chip that was found in most 2017 flagships, and while a new one has been released since, the 835 is still a top performer. That’s especially true given the fact that it’s coupled with a hefty 6GB of RAM, which should help make the Note 8 with multitasking. The phone comes with 64GB of internal storage, though there are larger options available internationally. Thankfully, there’s a MicroSD card slot, so you can add storage as you see fit. The Note 8 is equipped with a pretty huge range of sensors too, including the standard accelerometer, barometer, gyro, and fingerprint sensor. You’ll also get the iris scanner found on the Galaxy S8, and a heart rate sensor. It’s IP68 water-resistant, so it’ll survive submerged underwater for up to 30 minutes at a depth of 1.5 meters. There’s also the S Pen, a standout feature of the Note series. It’s tucked away on the bottom edge of the phone, and it carries many of the same features as the S Pen on the ill-fated Note 7. You can make notes right as you take it out, on the screen’s always-on display. You can edit and add more notes, and even pin them to the always-on display so you don’t forget about them. 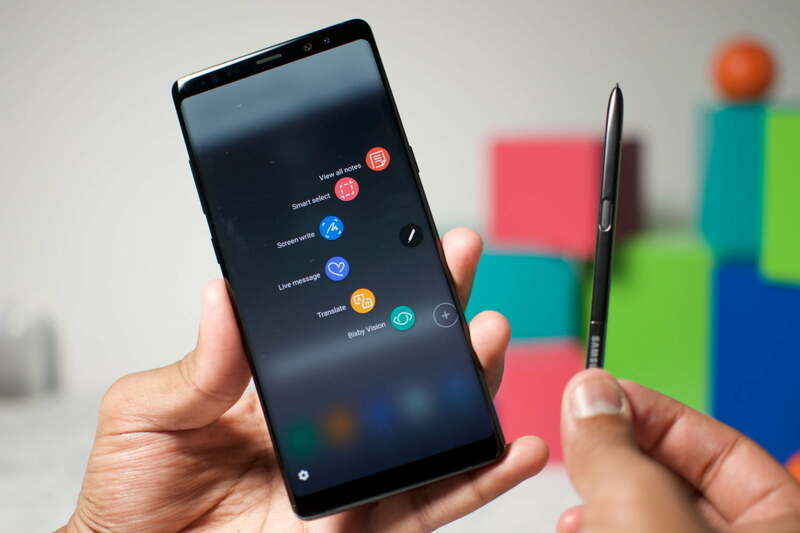 The S Pen has more pressure sensitivity, meaning it knows when you want to make a line bold or thin, and there’s a new feature called Live Messages that lets you sketch an animated message and send it to friends as a GIF. As was the case with the Galaxy S8, the Galaxy Note 8 is compatible with Samsung’s DeX Station desktop experience, so if you’re looking for a phone that can work like a computer too, this might be the device for you. In case you ever need tech support, Samsung has selected HelloTech to be the provider of in-home tech support and training for using the phone. How can you get your hands on the phone? The Galaxy Note 9 has quashed some availability of the device, but it is still available through the Samsung website, and it may be available from some carriers too. Updated on September 14: The Samsung Galaxy Note 8 receives Super Slow Motion and AR Emojis.